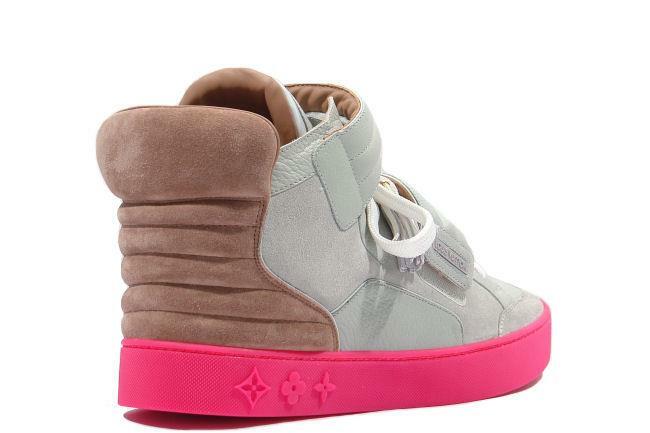 Info: The first sneaker collaboration between esteemed hip-hop icon Kanye West and French fashion house Louis Vuitton. The Jasper's are named after Kanye West's personal stylist Ibn Jasper and feature a patchwork upper and thick velcro strap with premium leather along with a quilted flap in the back to easily tuck pants into. 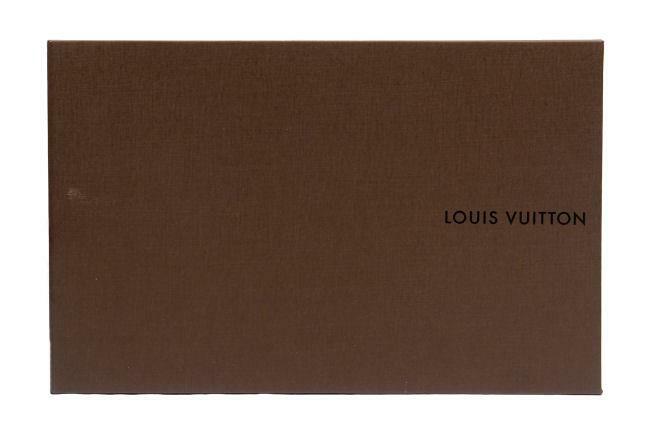 The shoes come in a heavy Louis Vuitton shoe box with 24k gold shoelace rings, an extra pair of white laces, plus two small LV booklets that provide a brief summary into the collaborative sneaker. July 2009 Louis Vuitton limited release. 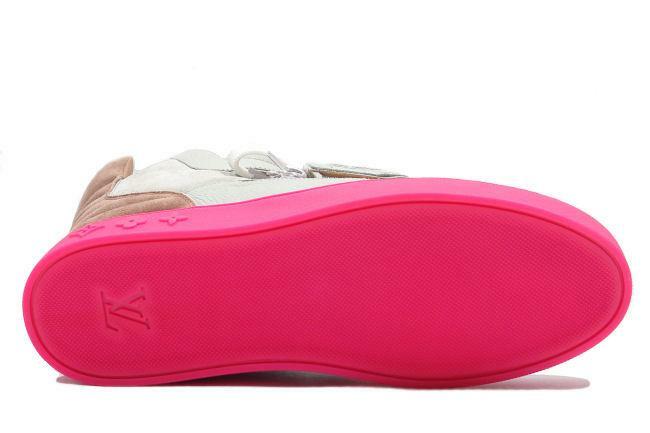 Note: This shoe is guaranteed to be 100% authentic as it was purchased directly from a Louis Vuitton retail store.